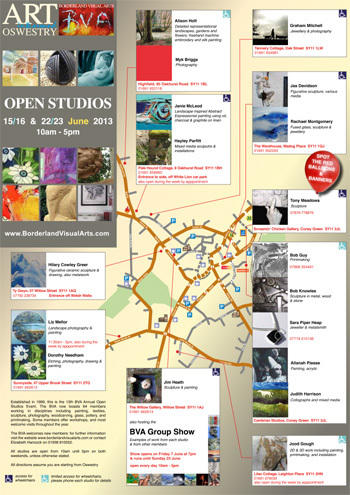 Borderland Visual Arts hold an Open Studios event annually in June. Two weekends starting on Saturday 15th. Many artists share studios, so if you consult the leaflet (available at the end of April, early May) you can see 4 or 5 artists and their work in one venue. 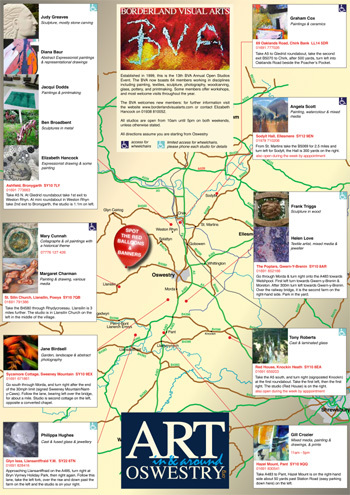 The leaflets give you directions and glimpses of the kind of work you will see. Diana, along with Judy, Ben, Jacqui and Elizabeth will be at Judy’s studio in Bronygarth. You’ll be given a warm welcome and a chance to walk through Judy’s lovely garden, see her stone sculptures, Ben’s amazing metal sculptures, and in the studio prints by Jacqui and paintings by Elizabeth and Diana. « A hedge superbly laid!